Germany defender Jerome Boateng has jumped to the defence of half-brother Kevin-Prince Boateng by insisting the international is being used as a scapegoat by Schalke following a poor season. The Royal Blues kicked both Kevin-Prince Boateng and Germany winger Sidney Sam out of the squad, and suspended midfielder Marco Hoeger, 10 days ago following their shock 2-0 league defeat at Cologne. The result had threatened to see Schalke drop out of the top six in Germany's Bundesliga after the Royal Blues had already missed out on a Champions League berth for next season for the first time since the 2010/11 season. Boateng, 28, remains under contract with Schalke, but is allowed to talk to other clubs to negotiate a transfer and has already been linked to former club AC Milan. 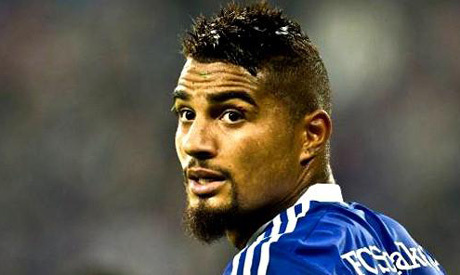 Schalke has told both Sam and Berlin-born Kevin-Prince, who played for the Black Stars at the 2014 World Cup, that they have no future with the club, but Bayern Munich defender Jerome Boateng says his half-brother has been treated unfairly. "They were clearly looking for a scapegoat," the Bayern defender told German magazine Sport Bild. "My brother hadn't played for weeks in the starting side. "Just because he started one game in the team, which has been playing without success for weeks, he is supposed to have suddenly pulled the whole team down?" "He doesn't have an explanation for the sudden turn of events, he is naturally very disappointed with those responsible at Schalke, which I can completely understand. "Why wasn't the whole team criticised for the defeat? "Instead, they threw two players out, one of whom also spent five weeks on the bench with Kevin, and had still done all they could." The German professional footballers union, the VDV, has urged Sam and Kevin-Prince to take legal action against Schalke, who will pay their contracts until they expire in 2018 and 2016 respectively unless they are sold. We will not publish comments which contain rude or abusive language, libelous statements, slander and personal attacks against any person/s. We will not publish comments which contain racist remarks or any kind of racial or religious incitement against any group of people, in Egypt or outside it. We welcome criticism of our reports and articles but we will not publish personal attacks, slander or fabrications directed against our reporters and contributing writers. We reserve the right to correct, when at all possible, obvious errors in spelling and grammar. However, due to time and staffing constraints such corrections will not be made across the board or on a regular basis.